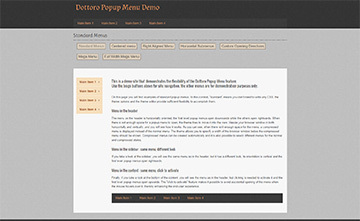 Thanks to its powerful set of tools, the Dottoro Theme enables creating any kind of websites. Additionally to the default Blog post type, the theme offers two further post types: News and Portfolio. 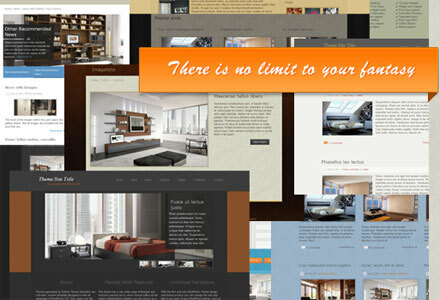 With the help of them, you can easily separate your different types of content in both appearance and functionality. Sidebars, footers and subheaders are fully customizable. You can create as many custom widget areas as you want and you can also change the layout of widgets in them. You have full control over setting the size and alignment of thumbnails; you can create custom galleries for posts and pages and you get a smart wizard for creating slideshows. These are only a few of the several theme features. Maybe the most powerful feature of the theme is the Theme Editor. This is an online application that lets you build fantastic looking, unique websites and blogs without having to bother with any code or web programming. You can access the editor through your theme's admin panel, thus you get a chance to modify the appearance of your pages while getting a real time preview with your actual website content. The smooth interface of editor gives you total creative freedom so you can focus on the design. Select pre-made theme and menu skins, change backgrounds, fonts, colors, borders and layouts, upload your images - there is no limit to your fantasy. You can save your designs and activate them with a few clicks anytime; thus you can change the look of your website as often as you need. 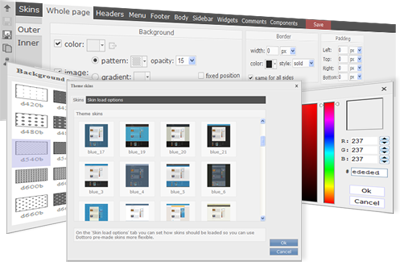 Theme Editor also gives you an option to create your website design before downloading the theme, so you have a chance to get to know it works. 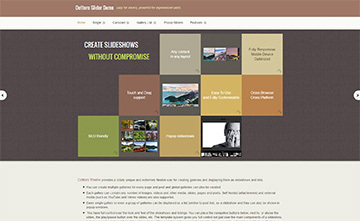 Check out our demo sites, to experience the flexibility of theme components.